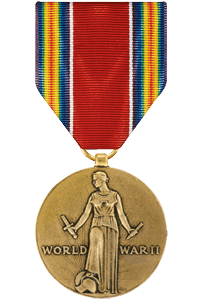 WWII Victory Medal; American Theatre Medal; Asiatic-Pacific Theatre Medal (3 Stars); Occupation. 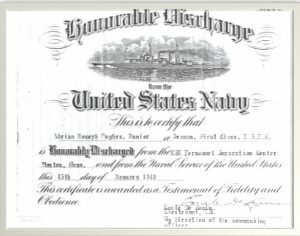 US Naval Training Station (NTS), Sampson NY; USS MC Dermut (DD-677). 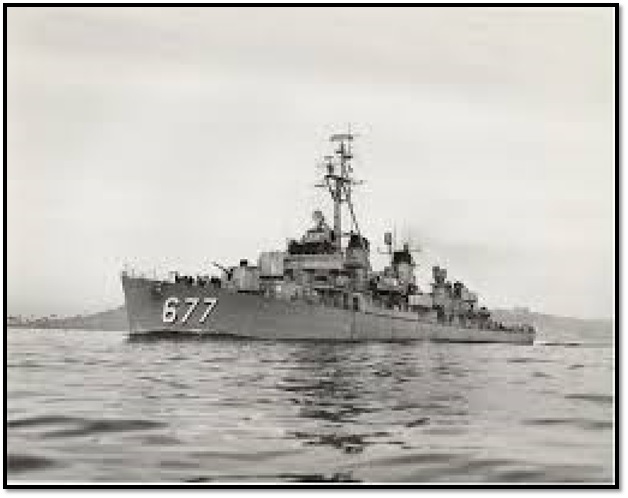 USS McDermut (DD-677) was a Fletcher-class destroyer of the United States Navy, the second Navy ship named for Lieutenant Commander David A. McDermut. 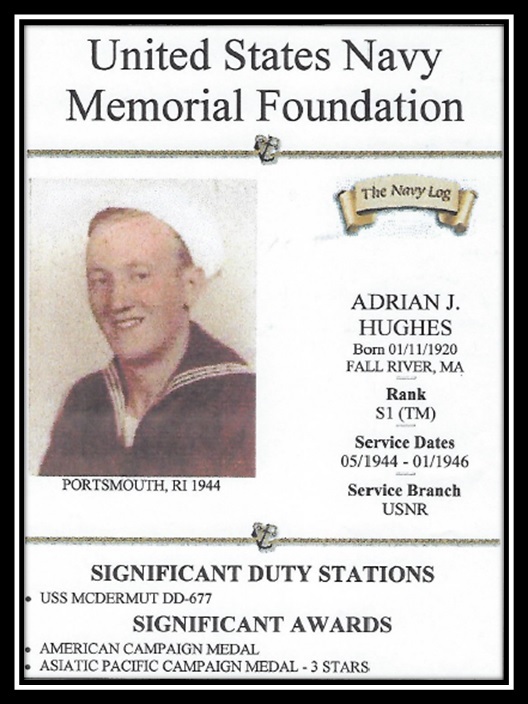 McDermut was laid down 14 June 1943 by the Federal Shipbuilding & Dry Dock Co., Kearny, New Jersey; launched 17 October 1943; sponsored by Mrs. Woodrow Wilson, widow of the 28th President; and commissioned 19 November 1943, Comdr. P. L. Wirtz in command.